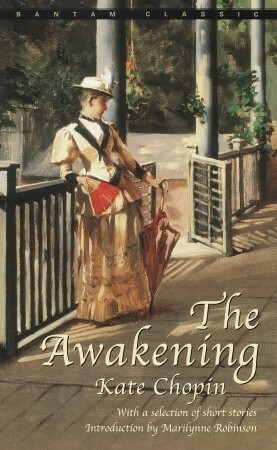 I can’t remember how I discovered Kate Chopin’s ‘The Awakening’. I have had the book for years. I must have got it during one of my weekend bookshop visits. I used to buy a lot of Bantam classics those days and I think I got it then. I normally remember the bookshop from which I had bought a book, but I can’t remember the bookshop from which I had got Kate Chopin’s book. By some deductive reasoning, I have narrowed down the suspects to two. And that is where it will stay, I think. I don’t know why Chopin’s book was lying unread on my shelf for so long. It is not too long and the story is interesting. Well, fortunately for me, the stars got aligned this weekend and I picked the book to read. Once I started reading it, I couldn’t stop. I put down everything else I was doing – tasks, chores, TV – and read it till I finished it. Here is what I think. Things become complicated for Edna after that. Is Edna able to leave her home and chart an independent life path successfully? What does her family feel about it? Can Edna part from her husband, whom she likes, and her children, whom she loves? What does her best friend Adèle have to say about it? Does Robert return her love? And if things don’t work out what would Edna do? The answers to all these questions form the rest of the story. The edition of the book I read had a beautiful introduction by Marilynne Robinson, she of ‘Housekeeping’ and ‘Gilead’ fame. It also had eight short stories. I liked most of the stories. My favourite was ‘Désirée’s Baby’. (If you are curious about it, here is the story – an orphan girl is adopted by a childless couple. When she grows up, a young man from a distinguished family meets her one day and falls in love with her at first sight. They get married and a year later she becomes a mother. Puzzlingly, though our heroine and her husband are white, the baby is not. The husband starts hating his wife after that. What happens after that? What is the truth? – you should read the story to find out. It read like a Heinrich von Kleist story to me.). I also loved ‘A Reflection’ and ‘A Pair of Silk Stockings’. There is a small, interesting story behind ‘Désirée’s Baby’. I first discovered ‘Désirée’s Baby’ through a book that I read years back called ‘River Town’ by Peter Hessler. It is Hessler’s account of his time in China when he spent a couple of years teaching English in a small town in Sichuan province near the bend of the Yangtze river. Hessler said in the book that he frequently read and discussed ‘Désirée’s Baby’ with his students in English class. I am happy to have finally read it. Now I wonder what Hessler discussed with his students on the story. I should go back and read ‘River Town’ again. I will leave you with some of my favourite passages from the book. Kate Chopin’s prose is beautiful and brilliant. The voice of the sea is seductive, never ceasing, whispering, clamoring, murmuring, inviting the soul to wander for a spell in abysses of solitude, to lose itself in mazes of inward contemplation. The past was nothing to her; offered no lesson which she was willing to heed. The future was a mystery which she never attempted to penetrate. The present alone was significant; was hers, to torture her as it was doing then with the biting conviction that she had lost that which she had held, that she had been denied that which her impassioned newly awakened being demanded. Robert’s going had some way taken the brightness, the color, the meaning out of everything. The conditions of her life were in no way changed, but her whole existence was dulled, like a faded garment which seems to be no longer worth wearing. There were days when she was very happy without knowing why. She was happy to be alive and breathing, when her whole being seemed to be one with the sunlight, the color, the odors, the luxuriant warmth of some perfect Southern day. She liked then to wander alone into strange and unfamiliar places. She discovered many a sunny, sleepy corner, fashioned to dream in. And she found it good to dream and to be alone and unmolested. There were days when she was unhappy, she did not know why, – when it did not seem worth while to be glad or sorry, to be alive or dead; when life appeared to her like a grotesque pandemonium and humanity like worms struggling blindly toward inevitable annihilation. She could not work on such a day, nor weave fancies to stir her pulses and warm her blood. Have you read ‘The Awakening’? What do you think about it? Have you read ‘Désirée’s Baby’?